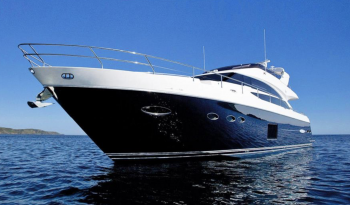 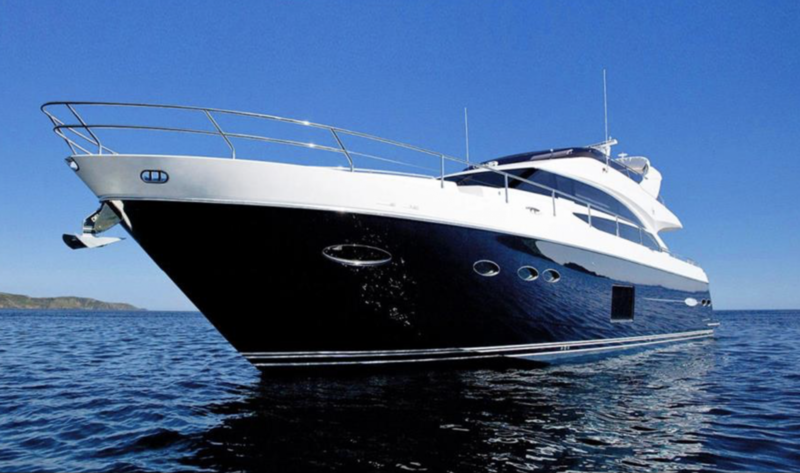 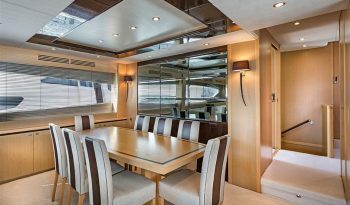 The Princess 85 Motor Yacht is a serious contender on the ‘’small big boat’’ market as this vessel offers plenty of interior volume and vast deck spaces, making her an ideal family yacht. The decoration is contemporary and offers a superb gloss light oak finish. 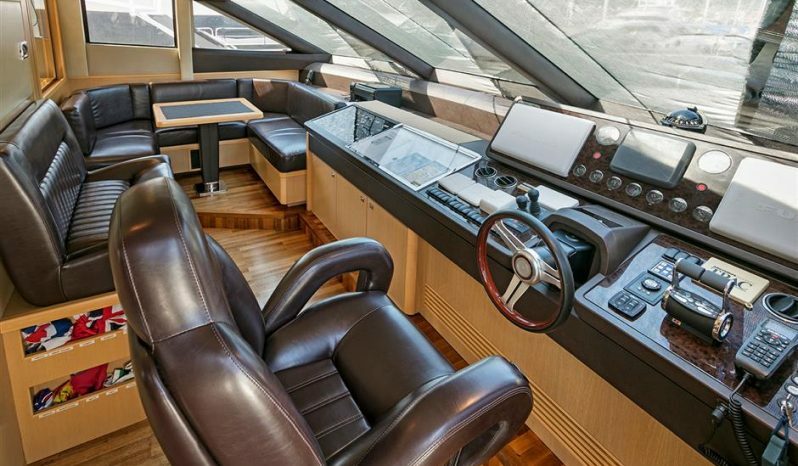 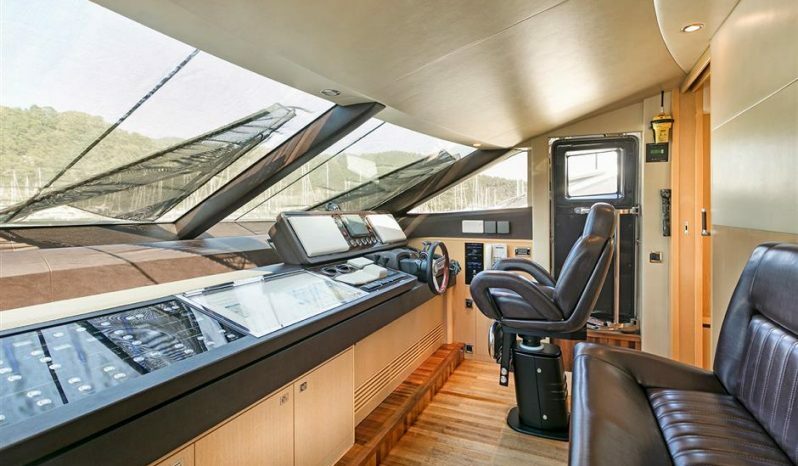 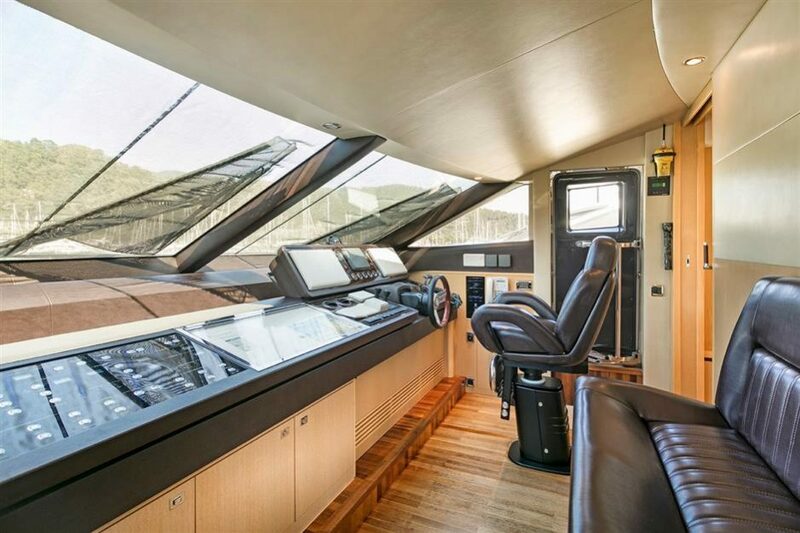 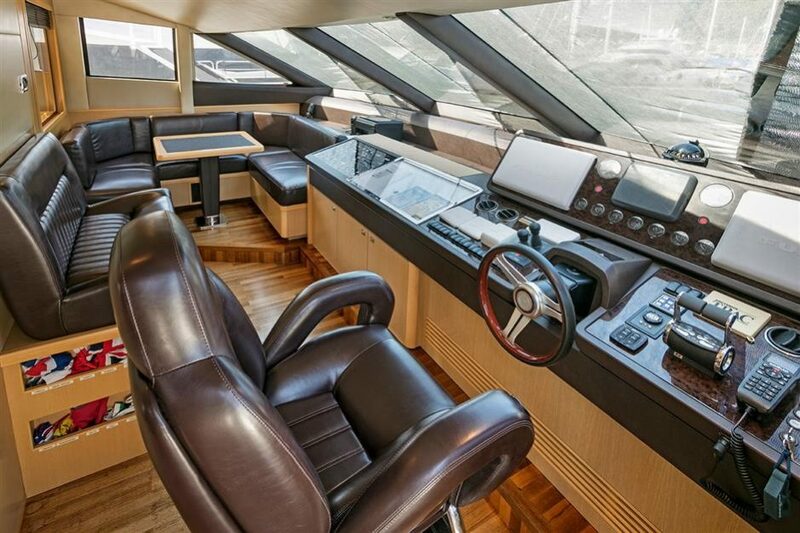 The main deck has a spacious cockpit with dining, bar and third station controls. 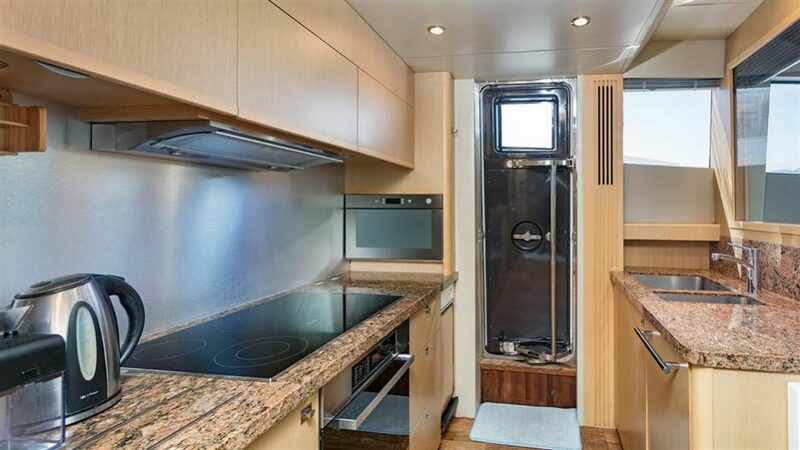 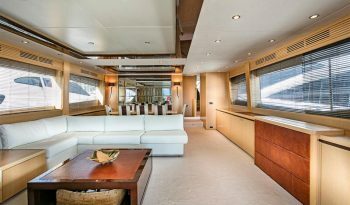 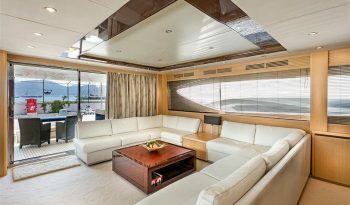 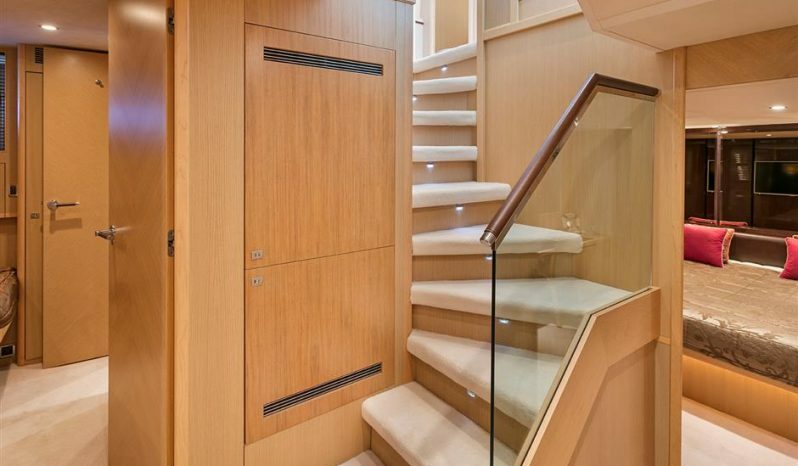 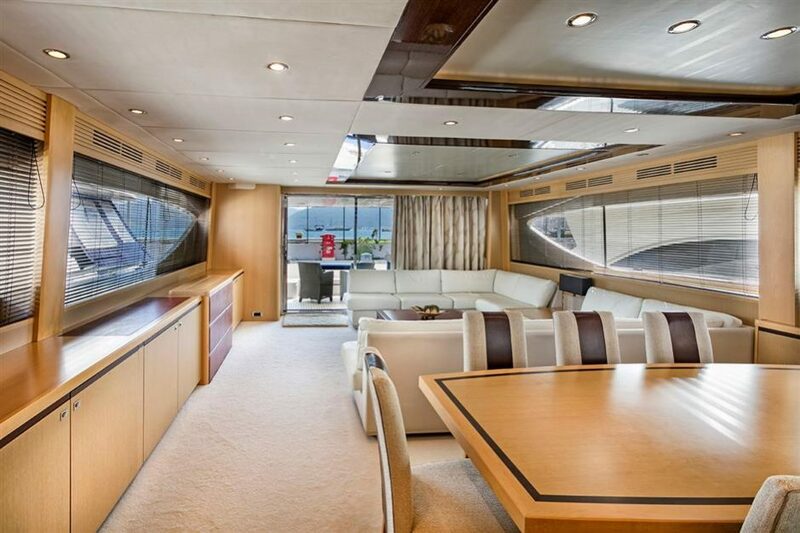 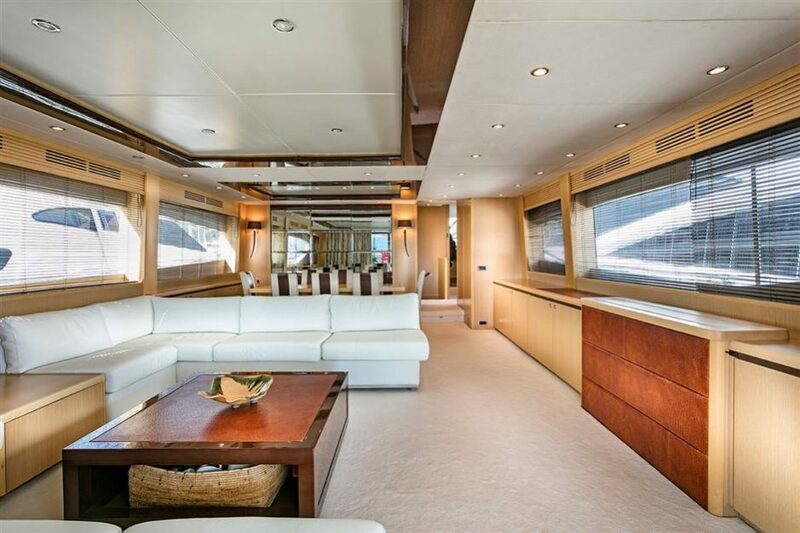 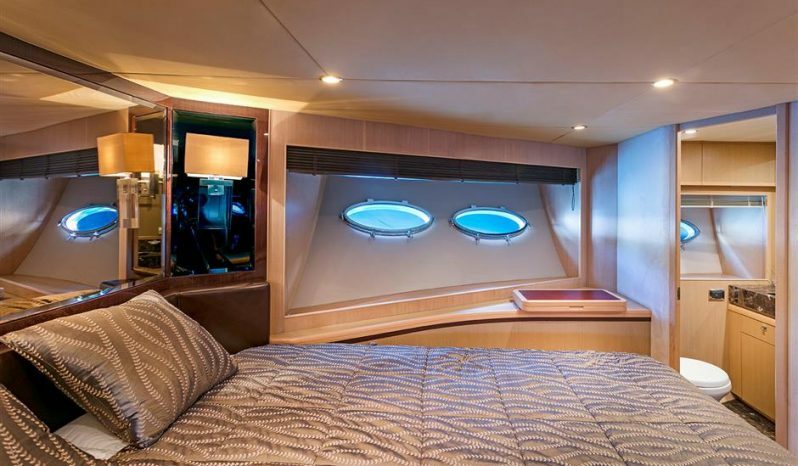 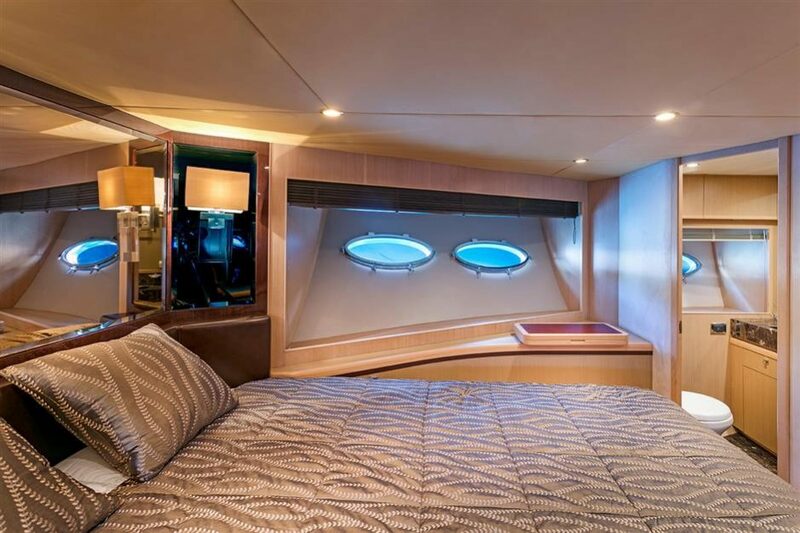 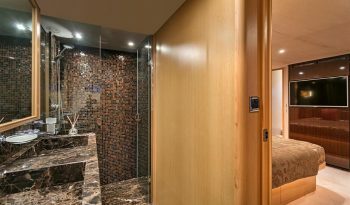 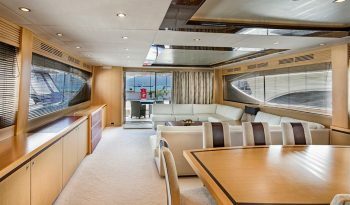 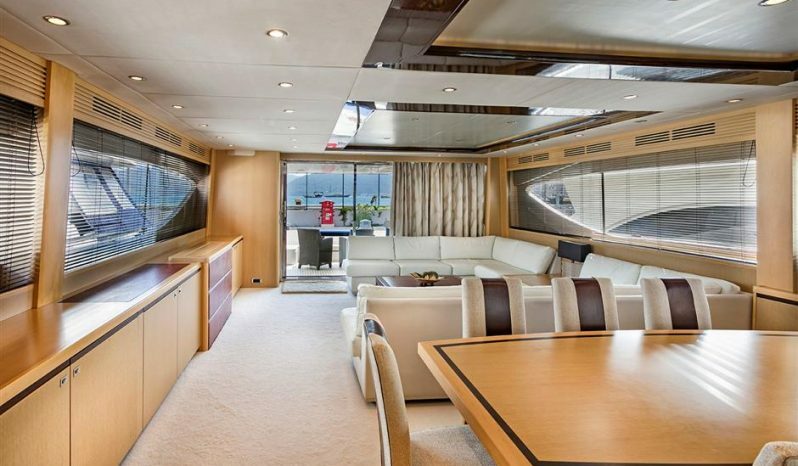 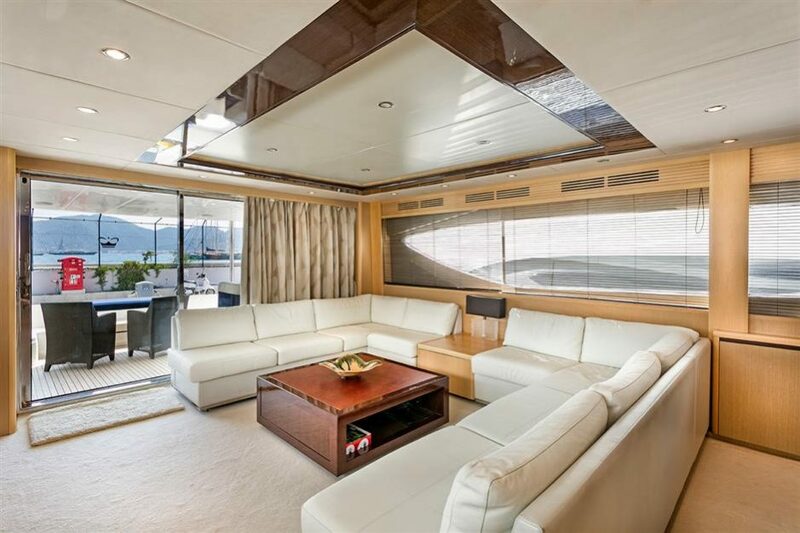 This level also features a foredeck lounge area giving guests another place to spend there time in the sun. 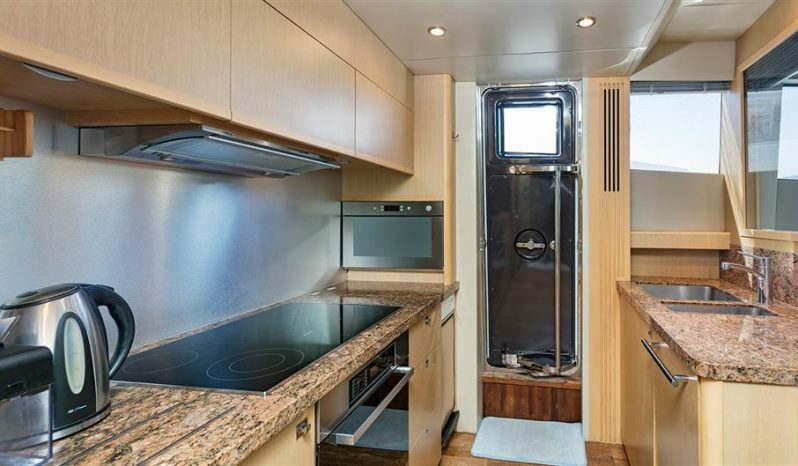 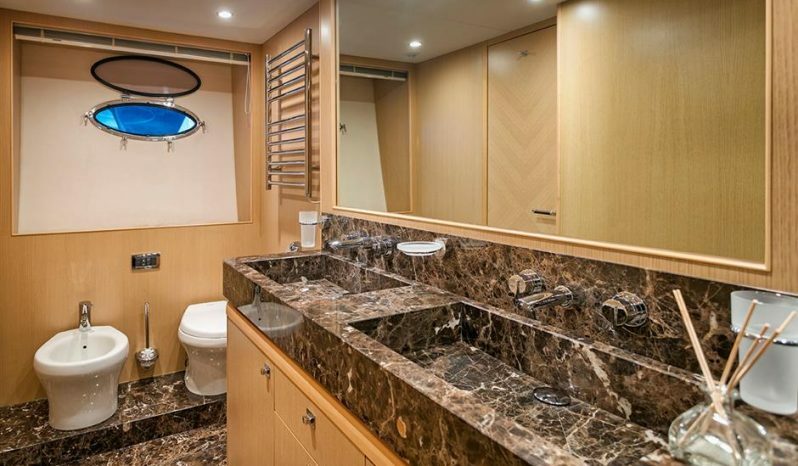 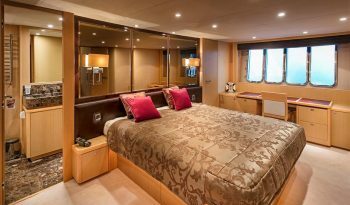 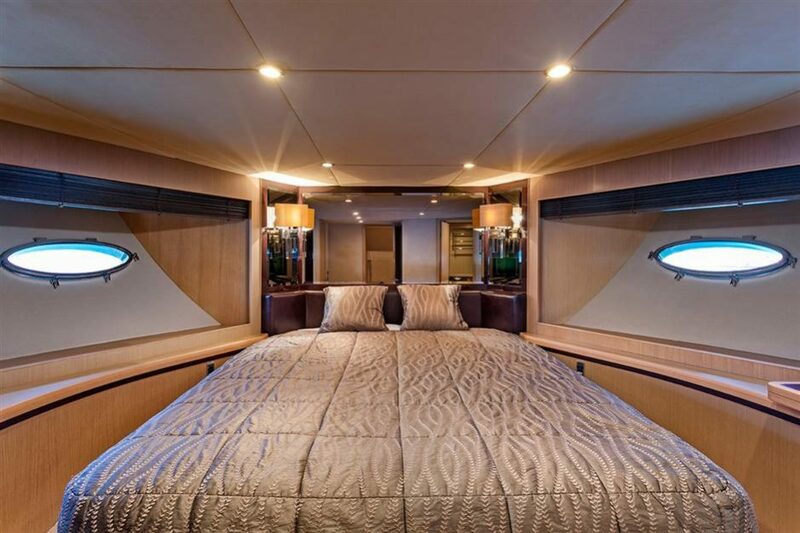 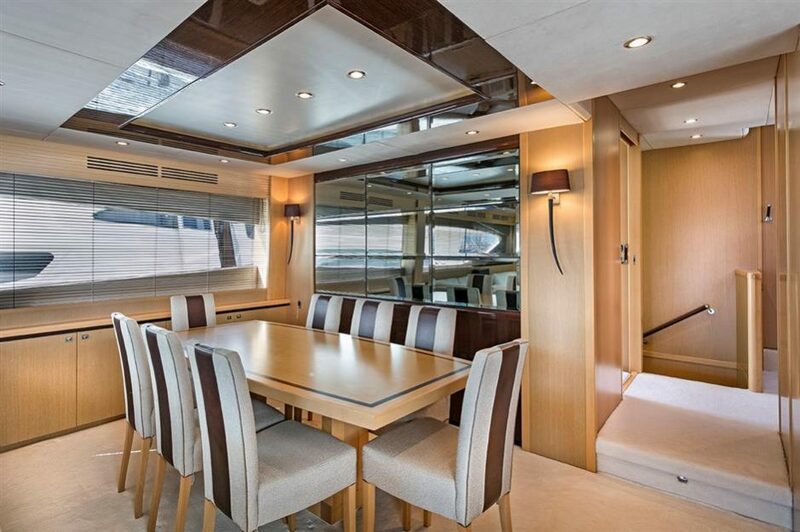 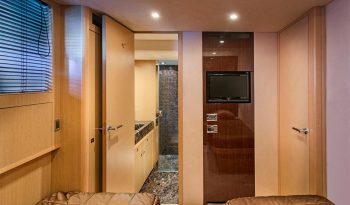 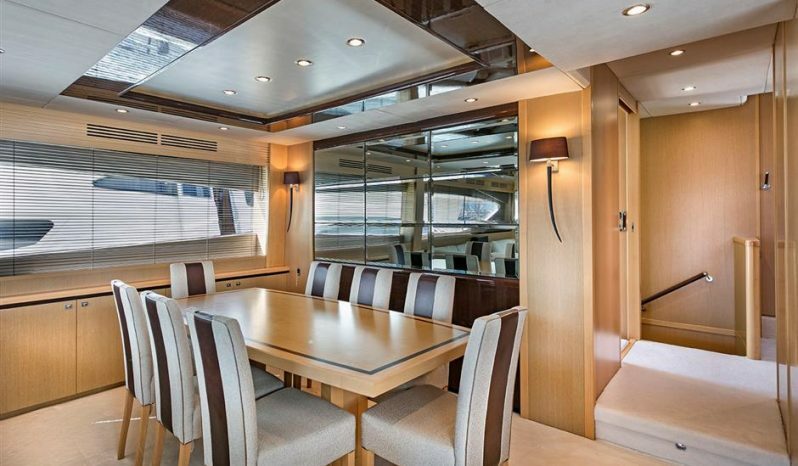 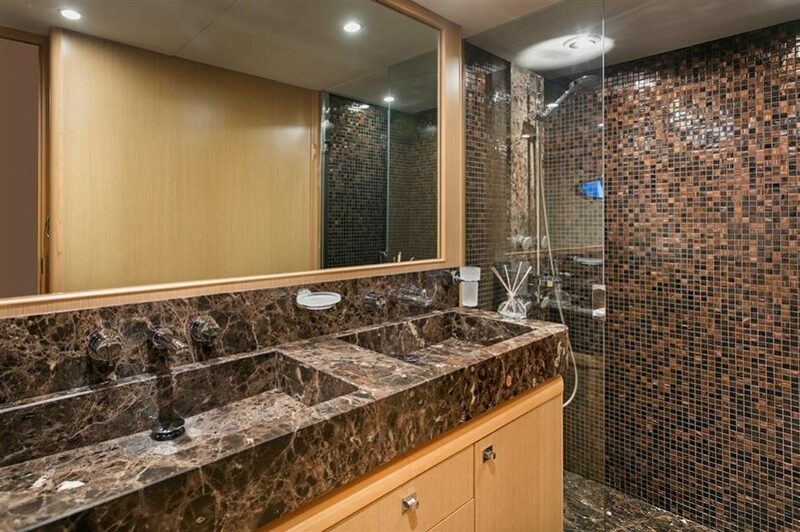 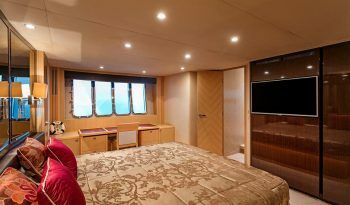 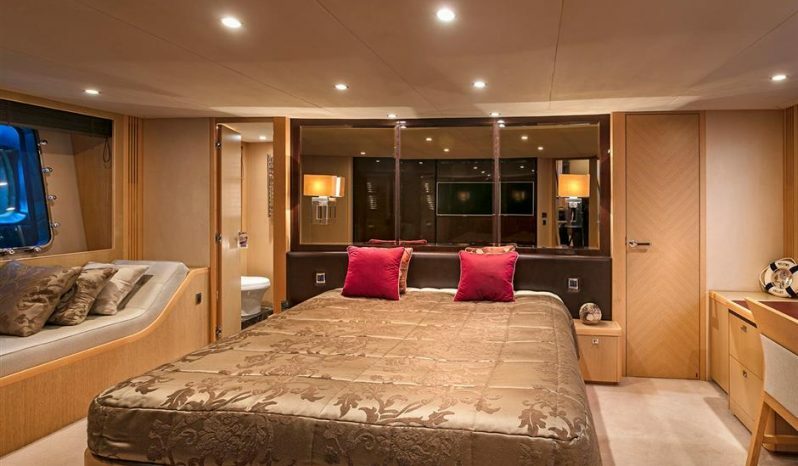 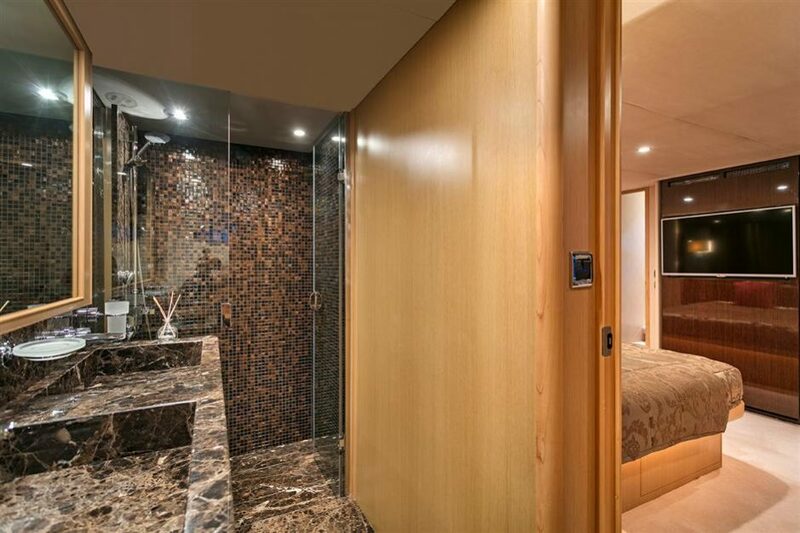 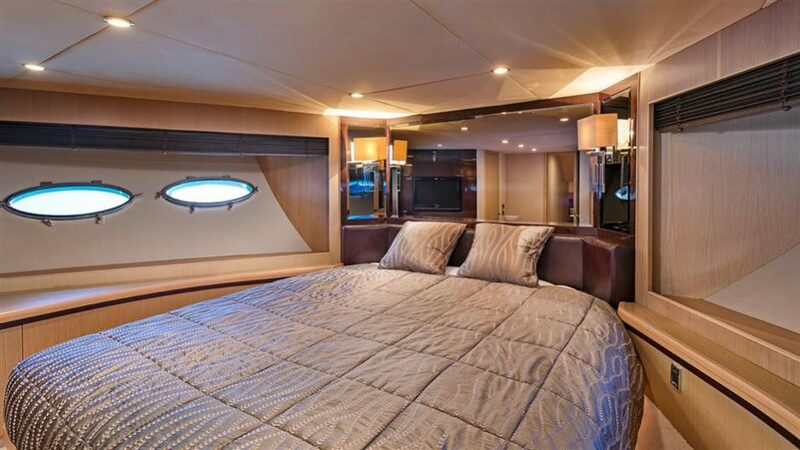 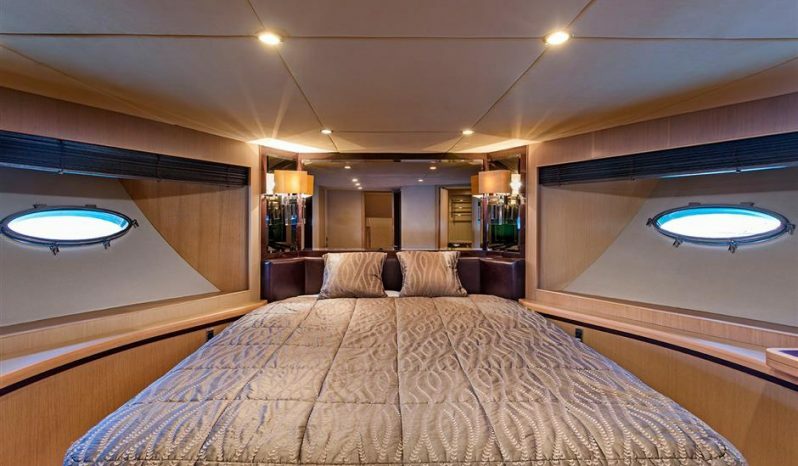 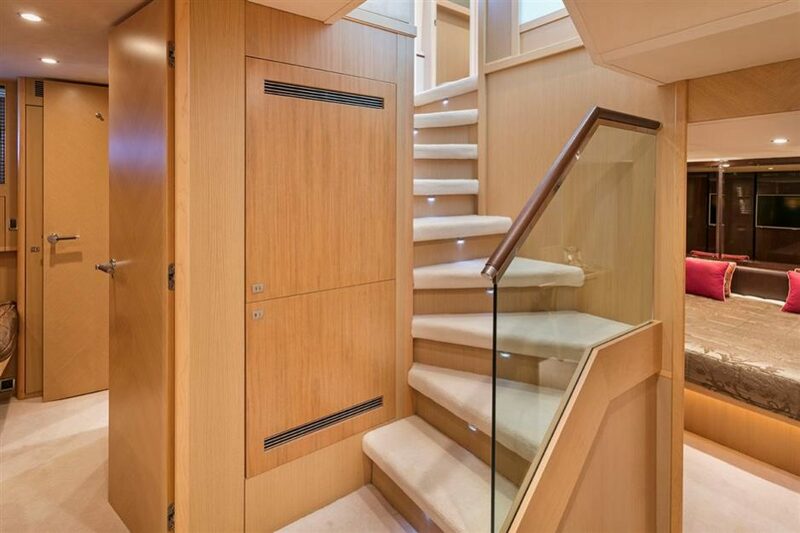 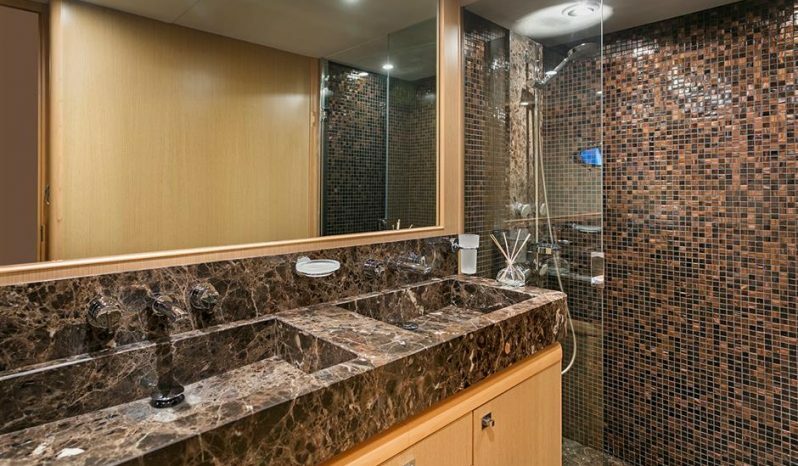 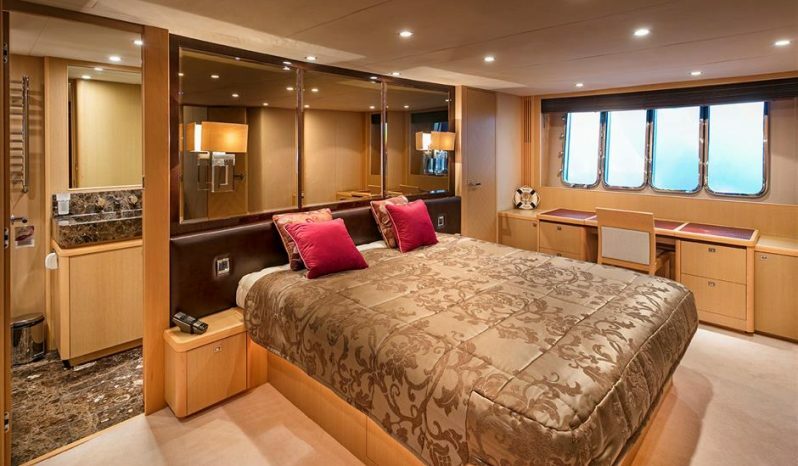 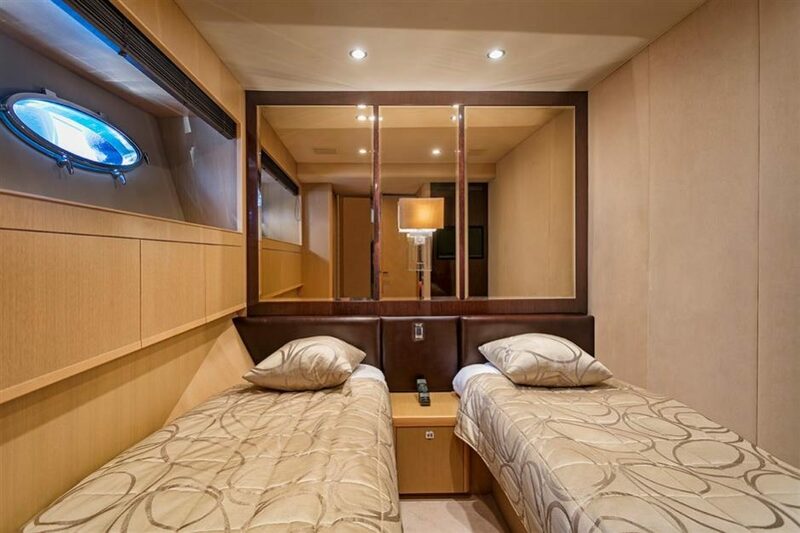 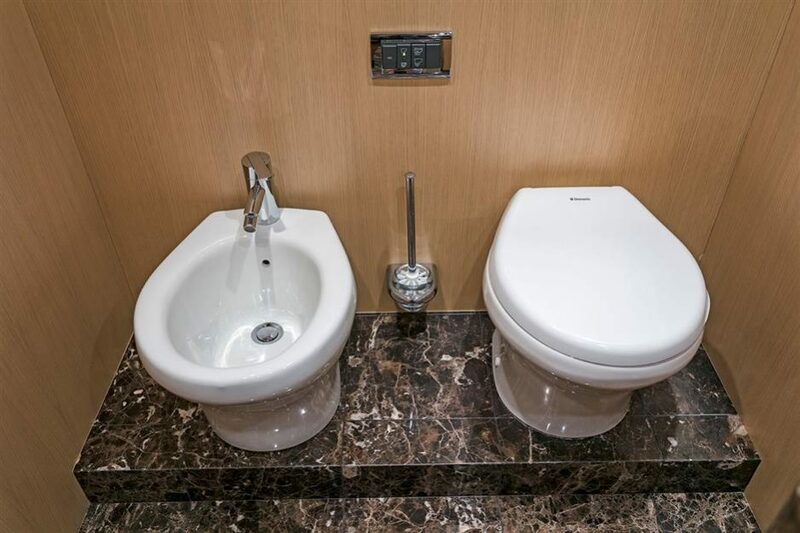 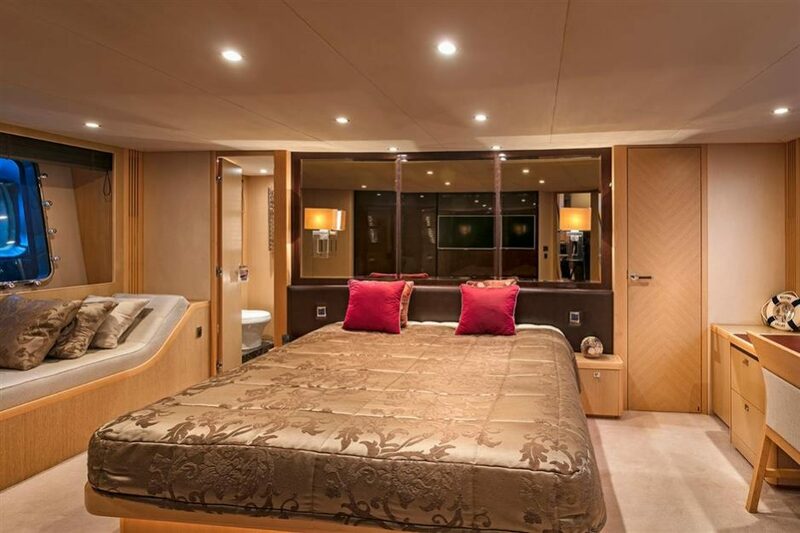 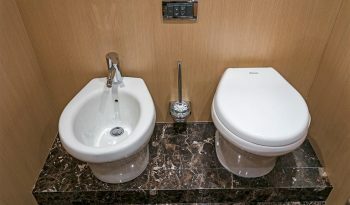 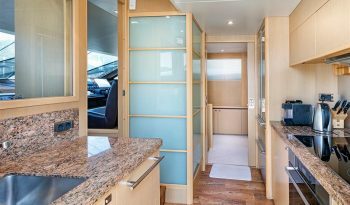 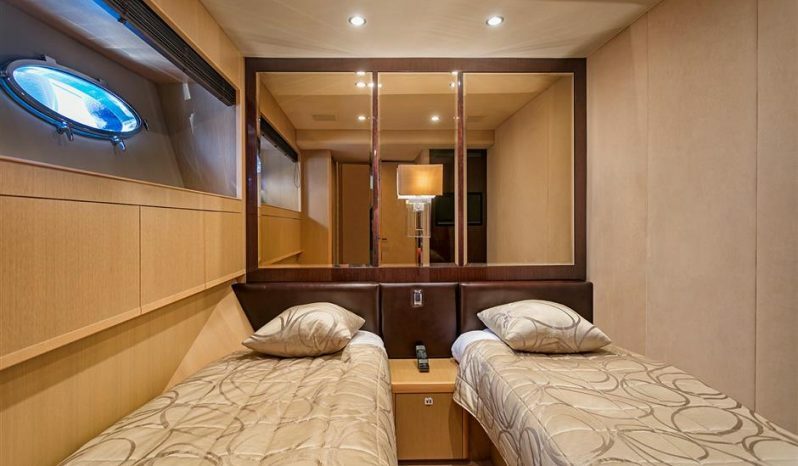 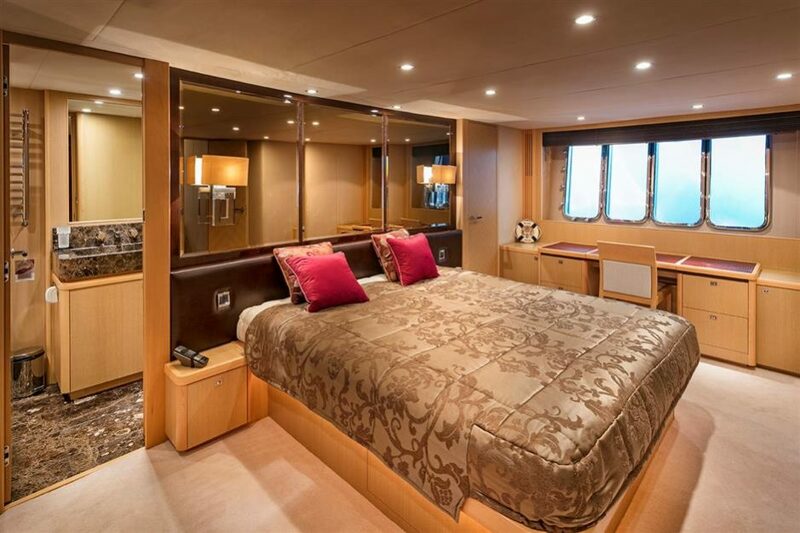 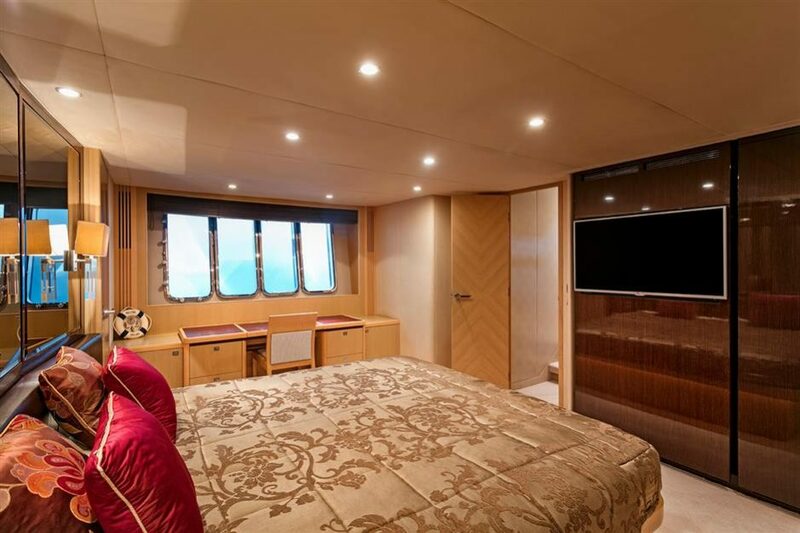 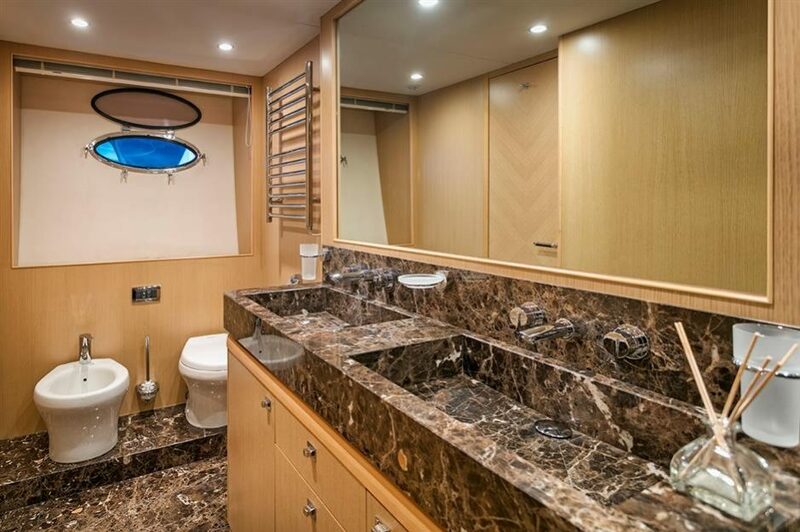 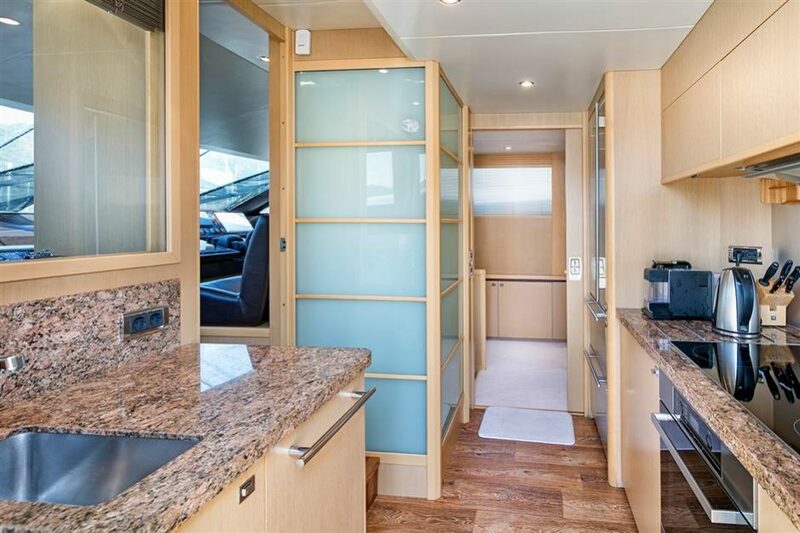 The interior boasts a large salon and a dining table on the main deck, while the lower deck sleeps 8 in 4 cabins!